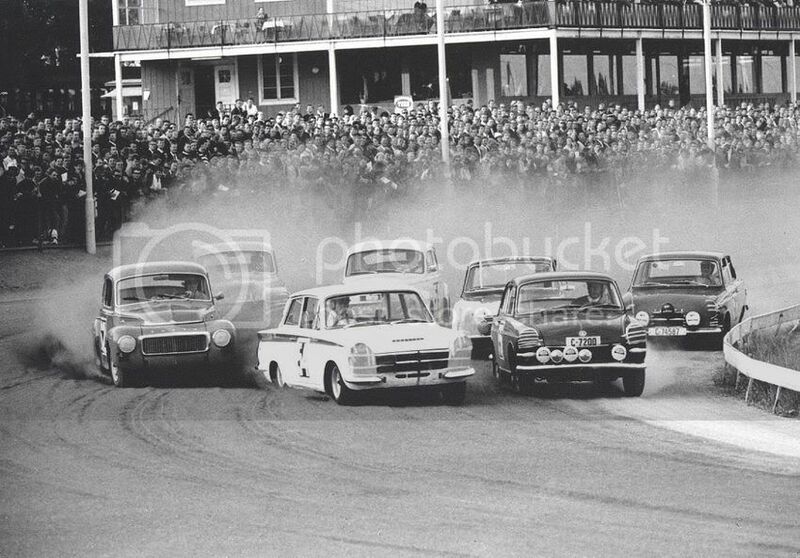 I have an early air flow (produced in August 1964), A-bracket Lotus Cortina, original Racing Conversion built at Cheshunt for Ford Motor Norway and driver Trond Schea. This car was delivered with the rare racing bucket seats which unfortunately disappeared in late seventies. Have been told that these seats have been reproduced in UK lately, can anyone help with info? Hi Holm - Forum member MagnusHolmgren just had a set reproduced and luckily for you he's a bit nearer - he's based in Sweden. I'm sure I am going to regret asking this, but why are the two photos of different cars and why in the lower photo are all the visible gauges apparently on full scale deflection? I think it's because the picture has been reversed, it's a RHD car. 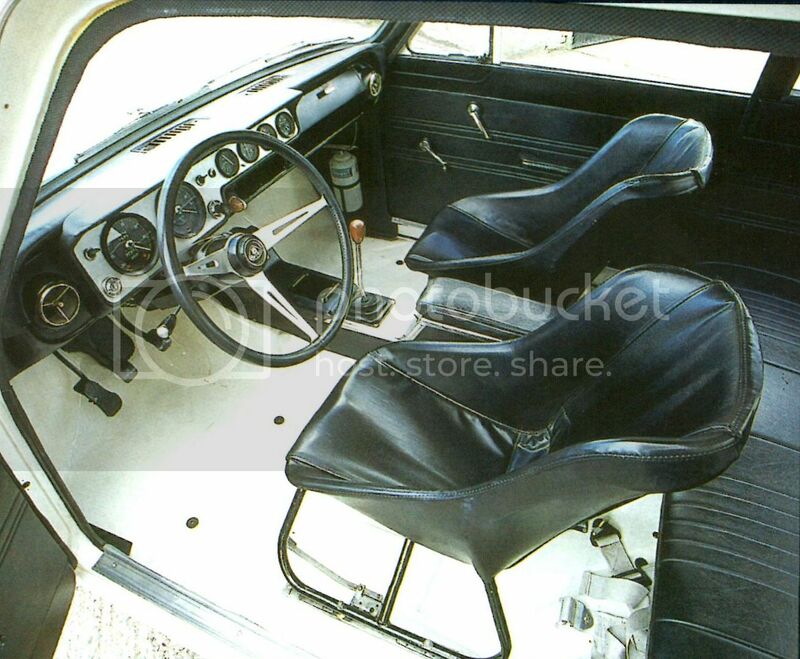 Regarding the bucket seats photo, this photo is from another car (LHD), just meant as an example. The seats in my car disappeared late seventies, unfortunately! 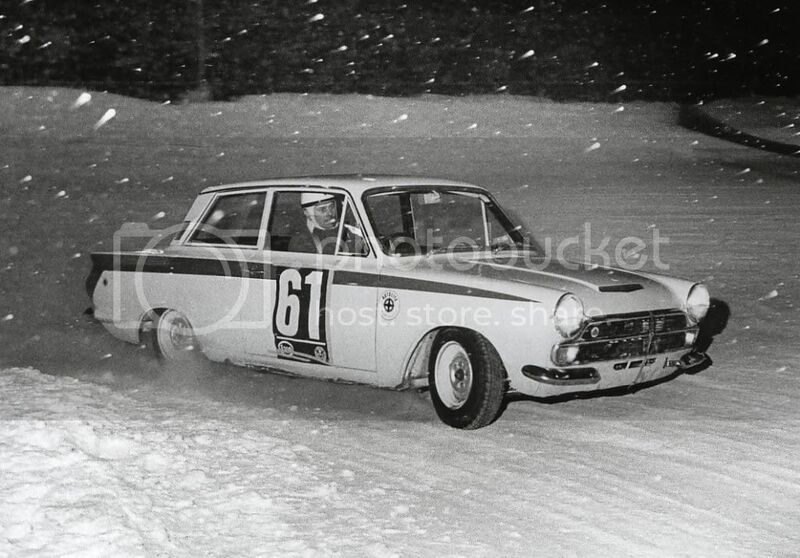 This photo is from 1965 and a horse track in Oslo! I wonder why the accelerator pedal appears to be on the left of the brake and clutch? Oh yes, you're absolutely right! The photo IS reversed, see also the speedometer! I found this photo on internet! Holding the picture up to a mirror confirms it has been printed back to front. I must have had yet another senior moment not to realise that in the first place.